Will you be skiing this spring? | Podiatry Associates, P.C. Will you be skiing this spring? It’s that time of year again in Colorado! Temperatures are slowly starting to rise both out here in Castle Pines as well as in the mountains. As a skier myself, I always look forward to the warmer weather and the laid back atmosphere that spring skiing brings. 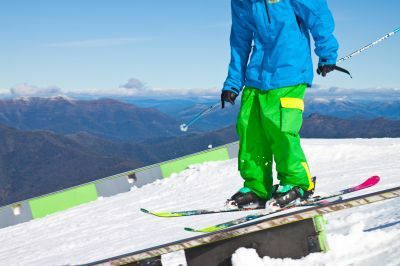 In order to make the most out of your spring skiing, here are a couple tips on how to stay safe on the slopes. Don’t get burned--be sure to apply sunscreen! The sun is getting stronger as summer gets closer, and all of the sun reflecting off of the snow makes your chance for sun burns that much higher. Apply at least SPF 30 before you hit the slopes and again at lunch time, so your skin stays safe. Don’t forget your goggles or sunglasses. Wear them at all times, because that strong sun and bright snow can damage your eyes. Hydrate! It’s always important to drink plenty of fluids when you’re skiing, but now that temperatures are rising it’s that much more critical to keep drinking water throughout the ski day -- especially when you’re probably having that extra beer, too! Be sure to dress appropriately for the weather, because if you are too bundled up you may end up sweating out more water in that springtime sun than you’re drinking in. Stay tuned by tuning up those skis. I’m sure they’ve had quite the season this year with all the snow the mountains have gotten. You won’t glide well skiing in that summer slush on those torn up ski bases. Be sure to keep your skis waxed and your edges sharp to smoothly descend down that wet spring snow. Skiing is a great workout and will keep you well-conditioned. For more tips on staying in shape, call Castle Pines Physical Therapy at 303-805-5156 to schedule a one-on-one wellness session with one of our physical therapists today!